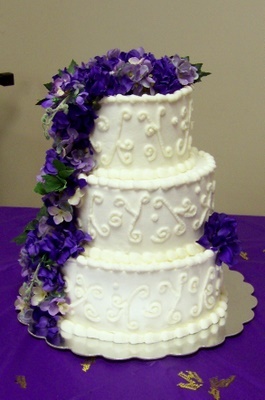 10″, 8″ and 6″ white cake iced with vanilla buttercream. Flowers are silk and were provided by customer. The customer also placed a glass heart topper on once the reception started.